Keep a necessary bathroom item close at hand with this Fresca Solido Toilet Paper Holder, part FAC1329. It easily attaches to a wall or any other flat surface. Each bathroom toilet paper holder has a modern 3/4 square design, with a tail to securely hold the roll. 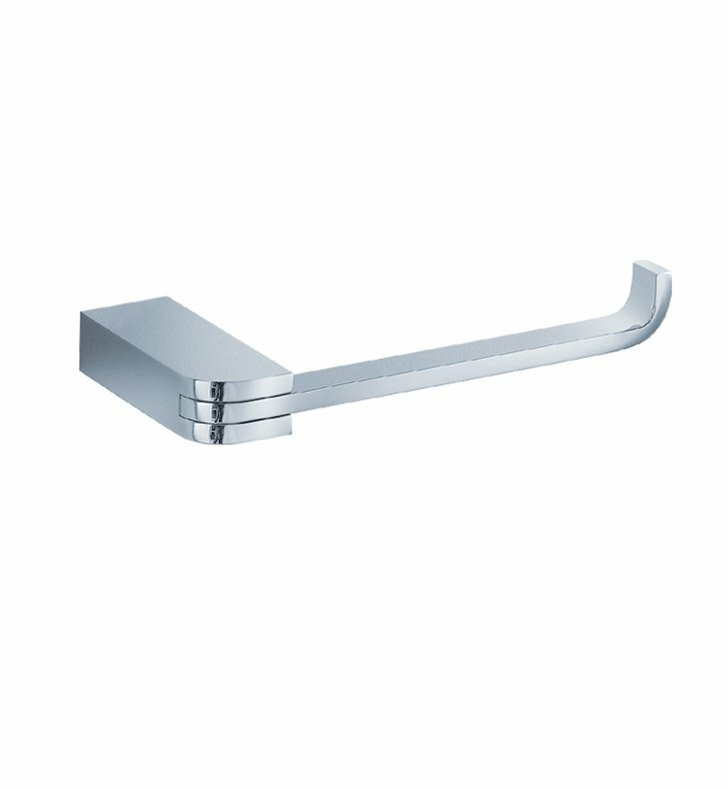 The device is available in several finishes, including chrome and brushed nickel. All the finishes are triple-layered. This durable brass toilet paper holder is also solidly made, for long years of service. The quality of this product screams out mega bucks! However, no one needs to know how reasonably priced it was. It can be mounted on the left or the right of the toilet and even upside down! My washroom is so small that i ended up mounting it under my vanity and it worked beautifully. It was easy to install. Thank you Decor Planet! Sleek and stylish design. Placed it in a newly remodeled bath along with other (matching) items from the "Solido" collection and the look is exactly what we were after! This is about as stunning as a TP holder can get. We were looking for something with straight line design and this fit the bill. The only drawback is that the single sided TP holders have a tendency to droop to one side after awhile. We didn't think this one would do that, but yesterday hubs did have to adjust it. He thought it may have been bumped. Nevertheless, I love the Solido design and highly recommend this holder. The one con, if even a con is trying to mount the small brass insert level. The piece is so small that the slightest screw not perfectly drilled in straight will make it slope a bit. Not a huge deal and definitely does not take away from the fact this is truly well built, looks great and very contemporary. A definite buy. One note, I did not use the screws supplied. I predrilled holes into a stud and then used 3" inch screws to secure the toilet paper holder. It isn't going anywhere and could explain why it is not perfectly level. The longer the screw, the more chance for it to slope a bit.